​While she first longed to be an actor, Susan Paddon recalls writing books of rhyming poetry in the bathtub at the age of eight in her hometown of St. Thomas, Ontario. For Paddon, poetry was something she did simply for fun and enjoyment, while her desire to write screenplays led her to seriously pursue writing as a career. Paddon attended McGill University where she studied English before transferring to Concordia University for her final year. After graduating from Concordia’s English literature and creative writing program in 2002, Paddon moved to London, England. There, she wrote film reviews, copy for websites, and continued to work on her own short stories and poems. A few years later, Paddon moved to Paris, France where she began to work on a screenplay and a novel. While in Paris, she also met her husband, Matt Parsons. In early 2008, Paddon returned to Canada with her husband; she had plans to begin her Masters in English literature and creative writing at Concordia University that fall. But, upon returning home, Paddon’s mother was diagnosed with pulmonary fibrosis and her plans were temporarily put on hold. Paddon became her mother’s primary caretaker until she passed away on August 13th, 2008. For this reason, Paddon was able to begin her graduate studies at Concordia. For her Masters, Paddon began writing what is now her first published book of poetry, Two Tragedies in 429 Breaths, which looks at the death of her mother through the lens of Anton Chekhov’s life and death by tuberculosis. Today, Paddon resides in Margaree, Cape Breton with her husband, where she continues to write poetry, short fiction, and screenplays. 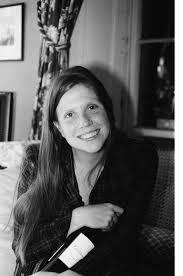 Her poetry has appeared in The Antagonish Review, Arc Poetry Magazine, Desperately Seeking Susans, Eleven Eleven, Sifted, CV2, and Geist Magazine, among others. She is currently working on a novel. Leona is awake to watch the exodus. Her porch light still on after they’ve fled. This is how she sees when the minister arrives. He crosses her lawn on the way to our door. The voice inside her says. of Cheetos delicately placed on a patterned paper towel. for a quiche to bring over to the house. For just such as occasion. for everything bad that has ever been. is a reminder of other losses. the heavy curtains so that no light can get in. to do in the morning. Published in Two Tragedies in 429 Breaths. (Brick Books, 2014). Critical Analysis: The Universal and Cyclical Nature of Leona's Time and Suffering in Susan Paddon's "The Minister's Visit"
In Susan Paddon’s debut book of poetry Two Tragedies in 429 Breaths, a daughter seeks to understand her role in her mother’s life with, and death from, pulmonary fibrosis by comparing them with the life, and death of tuberculosis, of playwright Anton Chekov. Paddon’s poem “The Minister’s Visit” begins with an image of the neighbor sitting on her porch: “At midnight, when the mosquitoes have finally grown tired,/Leona is awake to watch the exodus./Her porch light still on after they’ve fled” (1-3). Leona is a character on the peripheries of Paddon’s family just as Paddon is on the outside of Chekov’s life; however, both Leona and Paddon are deeply affected by the lives of those they observe. Although separate from the Paddon family, this is not the first time Leona appears in the book. While she had been previously “keeping tabs on who goes in and out of this house,” her late-night watching leads to her being privy to the minister’s arrival at the Paddon household. When the minister “crosses her lawn on the way to our door,” readers can begin to see how one person’s tragedy affects people outside of it (4-5). Leona has been anticipating the death of Paddon’s mother, yet “his arrival causes her heart to flutter” (7). In this moment of shock, Paddon breaks away from an omniscient view of Leona to let readers inside her mind: “Oh, God no, oh God no,/the voice inside her says” (8-9). Leona may be on the tangential of the Paddons’ lives, but she feels the blow of this tragedy physically: worn-out body/makes it to the couch just before/her legs collapse” (10-12). next to her T.V. remote ... (12-15). Leona is a very precise character; she eats her Cheetos not by a handful out of the bag or in a bowl, but in a small allotment on “delicately placed patterned paper towel” (16). In Leona’s other poem, “Watching,” we are told that the woman is completely alone: “No one visits her now. Not even her/grown-up children. She has to get a man in/to cut the lawn” (15-17). Delicate actions of spending her nights alone on the porch, watching T.V., or sleeping on the couch speak to her awareness of being alone and her vulnerability to tragedy. is a reminder of other losses (21-25). Paddon uses Leona’s experience to make her character sympathetic. Because Leona finds comfort in the cyclical elements of her life, she is able to get up off the couch and go to bed. For readers, this action clarifies that Leona is undoubtedly affected and changed by the events next door. The quote “Before going to bed, she pulls/the heavy curtains so that no light can get in” (32-3) suggests that dark feeling of mourning, and is further emphasized by the double entendre in the final line: “There will be so much more/to do in the morning” (34-5). The poem foregrounds the cyclical nature of time as Leona cannot help but think of the next day, which will only continue to repeat itself. By letting readers into Leona’s point of view, Paddon’s personal story of a particular loss becomes a beautiful “reminder of other losses,” demonstrating the inevitability and repeating effects of loss, suffering, and loneliness (25). Paddon, Susan. Two Tragedies in 429 Breaths. London: Brick Books, 2014. Print. Paddon, Susan. “Abstract: Two Tragedies in 429 Breaths.” Concordia University: Spectrum Research Repository, 2013. Web. ---. “At Noon by the Window on the Fifth Floor.” Contemporary Verse 2, Spring 2013. 35.4. 38. Print. ---. “Chirrup, Chirrup.” Ed. Tsiang, Sarak Yi-Mei. Desperately Seeking Susans. Fernie: Oolichin Books, 2012. 50. Print. ---. “Mourning.” Contemporary Verse 2, Spring 2013. 35.4. 40. Print. ---. “Jacksonville.” The Antigonish Review, 165. 39. Web. ---. “Room 45, Hotel Dresden, Moscow.” Eds. Tsiang, Sarak Yi-Mei. Desperately Seeking Susans. Fernie: Oolichin Books, 2012. 86. Print. ---. Two Tragedies in 429 Breaths. London: Brick Books, 2014. Print. ---. “This House.” Arc Poetry Magazine, 2012. 67. 20. Print. Dennis, Michael. “Review: Two Tragedies in 429 Breaths by Susan Paddon.” Today’s Book of Poetry, 2015. Web. Lahey, Anita. “On Writing: The Making of a Graphic Novel.” “Who’s Reading What for Issue 133?” The New Quarterly: Canadian Writers and Writing, 2015. Web. O’Reilly, Patrick. “Her Mother’s Keeper: A Review of Susan Paddon’s Two Tragedies in 429 Breaths.” Numero Cinq 6.2 (2015). Web. Paddon, Susan. “About Susan Paddon.” Brick Books, 2015. Web. ---. “Susan Paddon.” Geist: North of America, 2015. Web. ---. “Get To Know Them First: Two Tragedies in 429 Breaths & Susan Paddon.” All Lit Up, 2014. Web. ---. Interview by Open Book Toronto. “The Proust Questionnaire, with Susan Paddon.” Open Book Toronto, 2014. Web. ---. “Susan Paddon Reads from Two Tragedies in 429 Breaths.” Brick Books, 2014. Web. ---. Interview by The Toronto Quarterly: Literary and Arts Journal. “Susan Paddon – Two Tragedies in 429 Breaths (an interview).” Toronto Quarterly, 2014. Web. Slayter, Rebecca Silver. “Margaree poet Susan Paddon releases first book.” The Inverness Oran, 2014. Web. Webb, Campbell, Shannon. “A Poem Series Charts Loss and Literature.” Rev. Two Tragedies in 429 Breaths by Susan Paddon. Atlantic Books Today, 2014. Web.